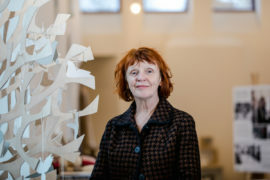 Professor Irene McAra-McWilliam, who has been acting as joint interim director, will initially be appointed for one year with a “full candidate search” planned. Tom Inns, whose time as director of Glasgow School of Art has been marked by two major fires at the school’s historic Mackintosh building, has resigned. Work to stabilise the fire-ravaged building is continuing on schedule as the impact on businesses, residents and arts organisations within the security cordon continues to be felt. The latest updates after Glasgow School of Art’s Mackintosh Building is devastated by fire for the second time in four years. 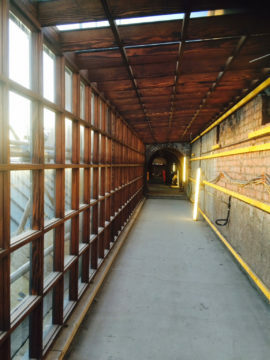 Including: British and Scottish governments pledge to support restoration, Glasgow School of Art contractor previously condemned for fire safety failings, plus were lessons learned from 2014 fire? As numbness turns to anger following Friday night’s fire at Glasgow School of Art’s Mackintosh Building, Chris Sharratt hopes that the building can rise again after this second even more devastating blaze. A fire, which appears to be much worse than the one in 2014, has gutted Glasgow School of Art’s Mackintosh building which was set to reopen next year. News briefing with national and international stories, including: Matt Hancock made culture secretary in cabinet reshuffle, replacing Karen Bradley; tours organised by Christoph Büchel of Trump’s border wall prototypes prove popular; and artists sign letter in support of Lorde’s decision to cancel gig in Israel. 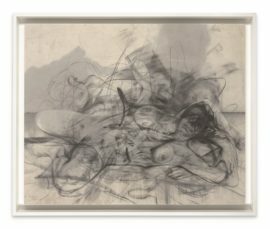 A weekly briefing featuring national and international art news, including: Court rules Jeff Koons plagiarised French photographer for Naked sculpture, and street artist Plastic Jesus installs works across the US in response to Trump’s revised executive order on immigration. 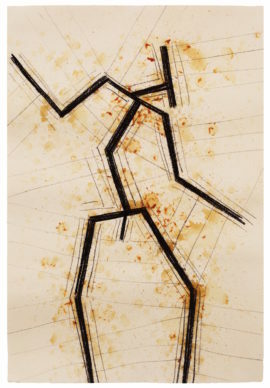 Artists including Sir Antony Gormley, Martin Boyce, Cornelia Parker and Douglas Gordon have created new works utilising debris from the Glasgow School of Art fire, to be auctioned at Christie’s London to raise funds for the restoration of the art school’s Charles Rennie Mackintosh-designed building. 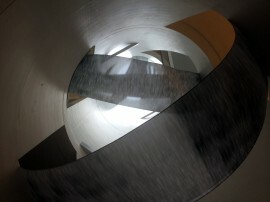 Five floors in Glasgow School of Art’s Reid Building provide temporary space for the Phoenix Bursary Exhibition, a show of new work by artists from the Phoenix Bursary programme. 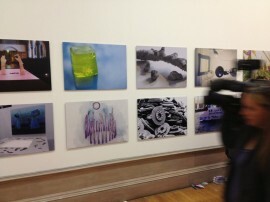 Richard Taylor talks to two graduates with work in the exhibition and finds out what the bursary meant to them. Glasgow School of Art has announced Page\Park Architects as the design team to lead the restoration of the Mackintosh Building after last year’s major fire. 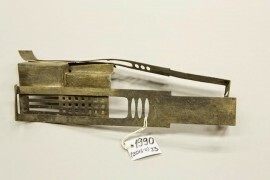 After 12 weeks of detailed work, forensic archaeologists have revealed what was lost, and what survived, following last May’s fire at Glasgow School of Art’s historic Mackintosh Building. 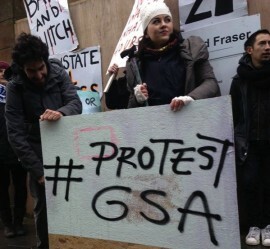 MFA students at Glasgow School of Art are calling on the school to reinstate 24-hour access to their studios. 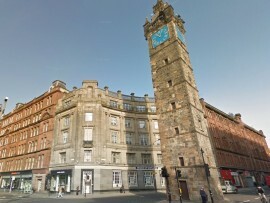 A report into the Glasgow School of Art fire has confirmed that the fire was started when inflammable gases from a foam canister were ignited – and that a new fire suppression system was not operational at the time of the blaze. 100 artists who were affected by the fire at Glasgow School of Art’s Mackintosh building earlier this year have been awarded bursaries to enable them to continue their creative studies at art schools in the UK and beyond. 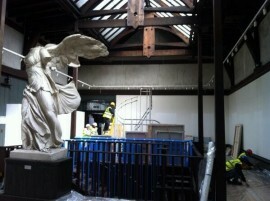 A new home for Glasgow School of Art’s displaced fine art courses is being developed, following the fire that devastated the historic Mackintosh Building earlier this year. 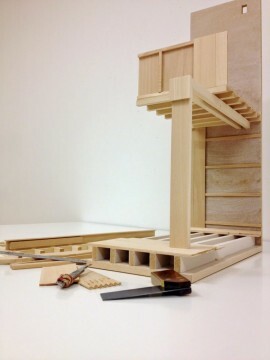 Three weeks after a devastating fire at its historic Charles Rennie Mackintosh-designed building, Glasgow School of Art’s Fine Art students present a showcase of their work that is both economical and emotionally charged. Glasgow School of Art has announced that whilst this year’s MFA and Design and Architecture shows will go ahead as planned, special arrangements have been put in place for graduating BA Fine Art students following the recent fire. 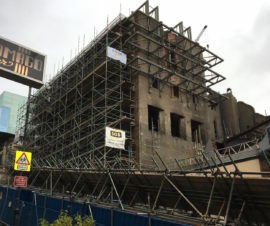 Staff from Glasgow School of Art and Historic Scotland have begun the first stage of reconstruction work on the fire damaged western section of the Mackintosh building. 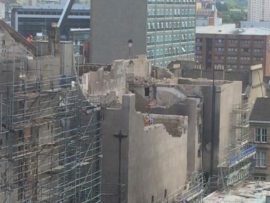 As work continues to clear the historic Mackintosh building following Friday’s fire, Glasgow School of Art announces bursaries for students and the Scottish government pledges its support in restoring the damaged section of the art school. 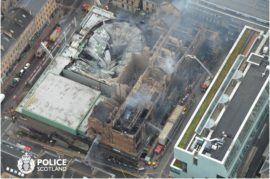 The Scottish Fire and Rescue Service has issued a statement saying the destruction of the structure and majority of the contents of Glasgow School of Art has been prevented. Fire fighters in Glasgow are tackling a major blaze at Glasgow School of Art’s Charles Rennie Mackintosh-designed building.